The fact that I recently gave birth to my fourth baby in an out-of-hospital setting (my home) has sparked some interest and curiosity from several people I know as to why I would choose to go this route. I decided that the easiest way to answer the questions that have been voiced (and perhaps those that exist but have remained unvoiced) would be to write a blog post addressing the issue of out-of-hospital birthing and why I love it. I have also invited several friends who have chosen a similar path to weigh in with their own thoughts on the matter. Before getting started, please let me put a disclaimer on this post. I happen to have a deep appreciation and admiration for the “Midwifery Model of Care” (more on that later) and even considered pursing midwifery as a career when I was in high school. Birthing with midwives in an out-of-hospital setting, especially home birthing, has become something I truly love and have a passion for. However, just because it is something I love, something I’m grateful to have been able to experience thanks to being low-risk with each of my pregnancies, and something I hope to encourage others to at least consider, I do not in any way stand in judgment of those who choose a different birthing plan. I am not anti-hospital or anti-doctor. I am also not anti C-section for those who must bring their babies into the world in that way due to emergencies, health concerns, past C-sections, etc. The most important thing is for your baby to arrive safely and alive, however that needs to happen. So please understand that my heart in sharing this post is simply to provide answers to the “whys” I have been asked, while at the same time sharing information that may help to enlighten those who are interested in considering an out-of-hospital birth in their future. It is likely that my passion for the subject will spill onto the screen through my words, but know that it is rooted in love for the experience, not judgment of other options or opinions. First, let me share a little background. When my husband and I found out we were expecting our first child, we were still living in Texas with plans to soon move to Taos, New Mexico. I began prenatal care with a wonderful Christian midwife whom I had known for many years. She proved incredibly informative and resourceful as I was full of questions! She also recommended a number of supplements to begin taking, which I found very helpful, and have continued to take throughout my subsequent pregnancies as well. When it came time to move to Taos, I was delighted to learn that Taos County has one of the highest out-of-hospital birth rates in the country (at the time it was 15% versus the usual 2%), and that finding a midwife to work with would not be a problem. Not only did I find one, but three very kind and knowledgeable midwives who staffed the local birth center as well as offered home birth services. Our first little one was born at that birth center, attended by two of those midwives and their apprentices. Even though labor was long and hard (27 hours! ), and even though I had a few complications following that birth due to having a big baby with a big head, I had a very positive experience. The midwives were fantastic in every way, the birthing center was a serene, peaceful environment, my mom and husband were wonderfully supportive, and I remember a feeling of trust and peace as I worked through the exhausting ordeal. 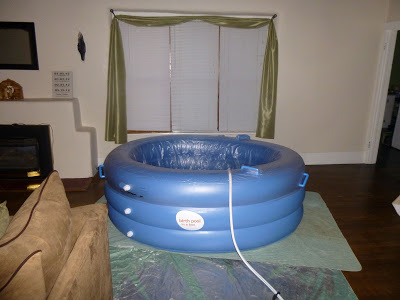 There were only two aspects of the experience that I did not care for: having to leave my house when labor was really intense in order to get to the birth center, and not having an inflatable birthing pool to use for a water birth. 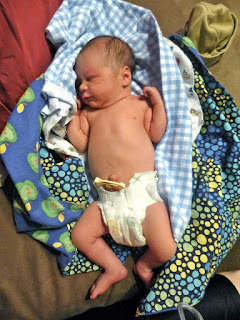 (The birth center’s large bathtub ended up being too hard and uncomfortable for me to stay in longterm). Overall, though, the birth center experience was a very good one. 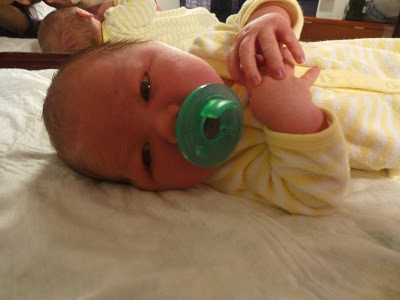 When Baby #3 came along, Nathan and I knew we wanted another home birth, but the birth center we had previously worked with had closed due to financial trouble, and the midwives had either retired or moved on to another practice. There were plans for it to be re-opened under the umbrella of the hospital and staffed with certified nurse midwives, but home births would no longer be offered. After looking into other options in town, we hired a private practice midwife who proved to be a great fit. She came to my house for prenatal appointments, which was amazing! When it came time to have the baby, she and her assistant arrived at the beginning of labor and stayed all day, patiently working with me and monitoring my progress until finally, I had my long-dreamed-of water birth! 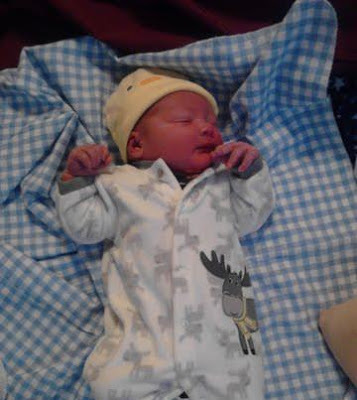 Baby #4 was also born at home; this time, here in Ohio with yet another midwife and assistant. I opted to not have a water birth this time (as wonderful as it was) in the hopes of not losing as much blood as I did last time, which likely could have been the result of my low blood pressure combined with the affects of the warm water. Despite having a different kind of relationship with the midwives here than I’ve had in the past, and things being handled a little differently along the way than I was used to, I would have to say that this fourth birthing experience was probably the best. It was the shortest (7 hours) and the smoothest, with my mom and Nathan being so supportive and involved each step of the way, and the midwives arriving in plenty of time to be an important part. Hopefully, I can share the full details of this experience in a future blog post soon! Now that you know the brief summary of my out-of-hospital birth stories, let me share more about why I love birthing with midwives, and why I love giving birth at home. Midwives as a whole have a tremendous respect for a woman’s body and its design to bring babies into the world. As a result, they are a patient bunch, ready and willing to let the woman’s body do what it was meant to do on a natural timetable with as few interventions as possible. They don’t have an agenda other than to provide oversight during pregnancy, to make sure that labor and delivery is safe, and to give necessary aid/encouragement in the postpartum days. This partnership of decision making and the way an expecting mother (and father) is treated with respect and dignity are several aspects that make working with a midwife so attractive. I have had reason to interact with 9 different midwives over the years for various services, and not once have I ever been talked “down” to, made to feel inferior or unknowledgeable because I wasn’t of the medical profession, or had a decision made regarding my care that I did not actively participate in as well. As the pregnant mama who knows my own body the best and who is about to do all the hard work of bringing a baby into the world, my opinions and desires have always been held in the highest regard. Another tremendous benefit when working with a midwife is the chance to build a close, personal relationship in an unhurried setting. Midwives are characterized by a genuine care for their clients that translates into a desire to know them as people and not just as clients. In my experience, each prenatal visit would last between 30 minutes and 1 hour with the same midwife the whole time. Pregnancy details were discussed as well as personal life. By the time labor and delivery came along, I knew and was comfortable with each woman who helped bring my babies into the world because of the time that was spent building a relationship. Midwives are not known for being wealthy. They study long and hard for their profession and offer their services at very reasonable fees out of a true passion for the work. I respect them greatly for this. I also love how midwives are naturally-minded and often knowledgeable about herbs, essential oils, and health supplements that can enhance both pregnancy and delivery. They are holistic in their philosophy of care, recognizing that birth involves physical, emotional, and spiritual aspects for each woman. I appreciate how midwives help to facilitate birth as a normal, natural experience that is incredibly special. There are so many things to love about giving birth at home! - Home is comfortable and familiar. I can make it look, smell, feel, and sound how I want. Usually for me this means warmth, low lighting, and soft music playing in the background. It’s not a stark, sterile environment with machines and strangers around. - I can eat and drink what I want as much as I want to when at home, which is important for keeping my strength up during labor. - I can wear what I am most comfortable in. - I get to choose my birth team and who I want present during labor. - I don’t have to go anywhere during labor!!! - I can rest assured that no invasive procedures will be pushed on me or that any invasive procedures will be done without my consent. - Because I feel relaxed and secure in my own little nest, endorphins can flow unhindered, allowing pain to be reduced and my body to work most efficiently. - When my baby is born, he is put right on my chest for skin to skin contact and nursing. The umbilical cord is not cut until it stops pulsing, which is best for baby. He is not whisked off anywhere. The placenta can be birthed in its time without rushing. Everything moves slowly and gently. - I don’t have to worry about being put under pressure to have procedures done to to my baby that I don’t agree with (i.e. a Hepatitis B shot) or that CPS will be notified if I refuse (a growing trend in hospitals across the country). - With home births (and birth center births), there is less chance of tearing, having an episiotomy, or having a C-section. - I love being able to recover in the comfort of my own home, taking an herbal bath and resting in my own bed right away. In one way, I’m always amused by the reaction on people’s faces when I tell them I am planning a home birth. Their eyes grow wide and an exclamation of surprise nearly always follows my statement. Interestingly, giving birth in a hospital setting with an OB/GYN has only become the norm in our country over the last 100 years. Historically, though, for thousands of years since the beginning of time, women have been having babies in their homes, usually attended by other women for labor support and/or midwifery care. So when I choose to birth at home, it is not out of the ordinary when it comes to a historical perspective. I am just following the usual course for women over the centuries. The obvious question on most people’s minds (and rightfully so) is how safe is home birth? The general consensus prior to study and research is that a hospital must be the safest environment to birth a baby in case there are emergencies. A hospital, after all, is equipped with the tools, machines, and personnel to handle anything that may go wrong. And this is a true statement. However, studies and statistics show that for healthy, low-risk women, giving birth in an out-of-hospital setting is actually just as safe, if not safer. Emergencies and complications in a normal, low-risk childbirth experience are very few and far between as evidenced by the low percentage of hospital transfers that most midwives have to make. Yes, there are risks with home birth, but there are also risks with hospital births...which is something a lot of people don’t think about. In a hospital setting, there is a greater likelihood of less movement during labor, less eating/drinking, and less patience with the woman’s body moving slowly. This in turn can lead to more pain, difficulty enduring, and a more hurried agenda to move things along. Thus, in a hospital setting, there is a greater possibility of medical interventions such as induction, a forceps and/or vacuum delivery, an episiotomy, an epidural gone wrong, and a C-section in the end (which carries its own entire list of risks). Are you aware of the fact that, according to the CDC, 32% of women who go to a hospital to give birth end up getting a C-section? That’s nearly 1 in 3 women! C-sections are the #1 surgical operation performed in most, if not all, hospitals. The medical community at large recognizes this to be a problem in our country. By comparison, midwife-attended births have a 5.2% rate of C-sections that become necessary. That’s 5 out of every 100 women! The following interconnected factors appear to contribute to the high cesarean rate. Low priority of enhancing women's own abilities to give birth. Care that supports physiologic processes – such as providing the midwifery model of care, doula care providing continuous support during labor and using hands-to-belly movements to turn a breech (buttocks- or feet- rst) baby to a head- rst position – reduces the likelihood of a cesarean section. Quite a few cesareans are carried out because the fetus seems large, even though this estimate is often wrong and a cesarean has not been shown to offer benefits in this situation. The decision to switch to cesarean is often made during labor when care providers could use patience and watchful waiting, positioning and movement, comfort measures, oral nourishment and other approaches to facilitate comfort, rest, a calm environment and labor progress. Providing more women with such care would lower the cesarean section rate. Side effects of common labor interventions. Current research suggests that quite a few labor interventions make cesarean birth more likely, such as inducing labor among first-time mothers and/or when the cervix is not soft and ready to open. Continuous electronic fetal monitoring (versus periodic listening to the fetal heartbeat with a handheld device) increases the likelihood of a cesarean. Having an epidural without a high dose of synthetic oxytocin (Pitocin) seems to increase the likelihood of a cesarean birth. Epidural analgesia appears to increase the likelihood of cesareans performed in response to "fetal distress." Lying in bed during labor (versus being upright and mobile) also has this effect. Refusal to offer the informed choice of vaginal birth. Many maternity care providers and hospitals are unwilling to offer the informed choice of vaginal birth to women in certain circumstances. The Listening to Mothers survey found that many women with a previous cesarean would have liked the option of a vaginal birth after cesarean (VBAC) but did not have it because providers and/or hospitals were unwilling. About nine in ten women with a previous cesarean section are having repeat cesareans in the United States. Similarly, few women with a fetus in a breech position have the option to plan a vaginal birth, and twins are increasingly born via planned cesarean section. Limited awareness of harms that are more likely with cesarean section. Cesarean section is a major surgical procedure that increases the likelihood of many types of harm for mothers and babies in comparison with vaginal birth. Short-term harms for mothers include increased risk of unintended surgical cuts, infection, blood clots, emergency hysterectomy, going back into the hospital, a challenging recovery and death. Babies born by cesarean section are more likely to have breathing problems and to develop several chronic diseases, including childhood-onset diabetes, allergies with cold-like symptoms and asthma. Perhaps due to the common surgical side effect of scarring and adhesion formation, women who have cesareans are more likely to have ongoing pelvic pain and to experience infertility in the future. Of special concern after cesarean are various serious conditions for mothers and babies that are more likely in future pregnancies. For mothers, these include ectopic pregnancy, placenta previa, placenta accreta, placental abruption, emergency hysterectomy and uterine rupture. Obviously, there are instances in which a medical emergency or high-risk factors contribute to the legitimate need for a C-section. In such cases, it is wonderful that this surgical procedure is available! However, what concerns me is that so many healthy, low-risk women are ending up receiving this procedure when it could have been avoided. So yes, there are risks associated with home birth and there are risks associated with a hospital birth. For me and my husband, the benefits of home birth far outweigh the risks involved. 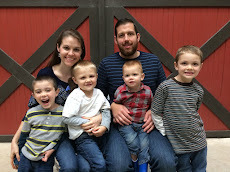 "My husband and I chose to have all of our children (#4 due at the end of May!) at home with a liscensed midwife. I have been present for a couple hospital births in my past as a young adult. At that time, it was all I knew. 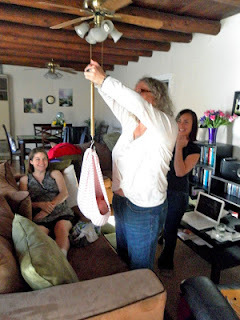 When I was able to be present for a homebirth a few years later, I thought it was pretty cool! My husband (who grew up with the concept of babies being born at home or at a birth center) and I chose the home birth route for several reasons. Some of our reasons (there are so many more!) are I can labor at home with minimal distractions (older kids go to Grandma's! ), minimal interventions, I'm where I'm most comfortable and relaxed, and a relaxed recovery time after baby is born. I love that, after getting cleaned up, I can just go to bed with my newborn in the comfort of my own bed, rest, and soak in the newness of this new little being with my husband. Comparing my home births to the two hospital births I watched, laboring and birthing at home is far more relaxed and comfortable. "I was asked by Katrina to share a little bit of my love for home births. I have had three home births and am awaiting my fourth at the end of August. For me, right from the start of my journey, home birth was the most familiar. My mom had home births, as well as many of my aunts, and I was blessed with the experience of being at many of them. I am a homebody, and I love that home birth provides the ability for me to be able to stay home where I am most comfortable. For many women, home is where they are most relaxed. Being in a relaxed state enables your body to work unhindered by stress of unfamiliar surroundings. I also love that as I move into my labor, I don't have to worry about when to leave for the hospital, but can give my focus completely to my labor. The help comes to me. I can get my nest ready and stay put! I love that my children can be a part of everything shortly after the birth and yet also have the freedom of being in their own environment. I think for kids, it can help set the tone of the baby belonging a little easier than if you are suddenly gone and come home with your new bundle. I have loved the relationship I have built with my midwife! One of the benefits of having a midwife is that they are often able to give more time and personal attention to your care, during pregnancy, but also durning labor. 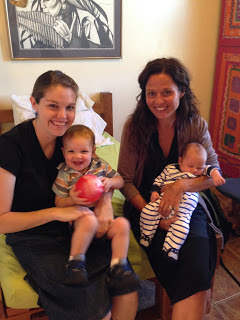 They provide knowledge and also fill a doula role in many cases. "My first two girls were born in Ukrainian hospitals. 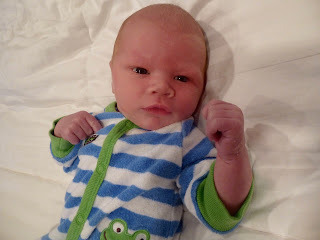 The first hospital experience was pretty bad, but the second was about as good as we could have hoped for. With our third, I was eager to try a home birth. We had plans to be in the States anyway and made arrangements with a well known and loved midwife in Texas to birth at my parents' house. Since home birth is not an option for us in Ukraine, I wanted to try all the things that I knew I cannot do here. And for me, that included laboring and/or delivering in water. My experience did not disappoint. The midwives were present to of course make sure that we were safe and that everything went well, but they also wanted to make our desires and wishes surrounding the birth a reality. And they did! One thing I really wanted was to be in my own home (albeit my parents', but it was the home I grew up in) and to be able to get right into my own bed as soon as I had delivered and not have to go anywhere or sleep in an uncomfortable hospital bed or have people coming in at random, etc. It was so nice to be in a comfortable, cozy place, to walk out to the kitchen and eat a supper that my grandmother had prepared and sent over. If I had to choose to repeat the experience of our home birth, I would do so in a heartbeat! I was never worried that my midwife didn't know enough. The amount of knowledge that she has is pretty amazing, ranging from matters of prenatal care, delivery, postpartum recovery, and pediatric care. She has delivered over 1,000 babies! Saying goodbye at our 6 week postpartum app't was like saying goodbye to a good friend. “A few thoughts on why I love home birth! I have always desired to have home births and have had 4 so far with another one, Lord willing, in early September! 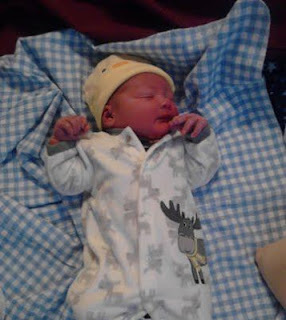 My experiences have ranged from very hard...with my first labor being 21 hours long with 6 hours of pushing, to my last labor that was around 4 hours and one of the best experiences of my life so far! I love that I can set up my birthing room weeks ahead of time and can imagine and get fully used to where I'm going to labor and have my children. For example, for my second birth I set up the area in my room like an oasis! I think I remember a lighted palm tree with white twinkly lights, my birthing tub, and some pregnancy photos of myself with my husband. It made it so special to decorate exactly how I wanted to! With my last child I was able to labor in my bathroom with only my husband in the room...I was able to fully and completely relax and focus on the work at hand without distracting noises and stressful people around me! I quoted Psalm 23 almost the entire way through my last labor! It was AMAZING! "I have always loved reading birth stories, admiring my friends who chose that route, and decided early on that I would like to try it for my children. Fast forward, and I spend my first 11 years of adulthood living in a foreign country. I imagined that my dream of home births was not to be, but God did an amazing thing and provided a midwife who offered to fly all the way from New Zealand to Bolivia for us, without me even asking. As the implications dawned on me (eek! no medical relief! ), I asked her for book suggestions and devoured whatever I could read. Ina May’s Guide to Childbirth was instrumental in educating me on the natural process of unhindered childbirth. On October 13, 2013, our first daughter was born in the most beautiful home birth I could have imagined. Not knowing exactly what to expect, when contractions turned out to be entirely manageable, I couldn’t have been happier! I felt the most accomplished I ever had in my entire life. Every single minute of preparation was totally worth it. Being at home in our own bed afterwards as we cuddled our baby was the absolute best! In the afterglow, I entertained thoughts of becoming a midwife and helping other mothers have the same experience. The same midwife friend flew back in April 2015 to accompany me through our second birth. While a harder, longer labor than I expected, the end result was fabulous—another mountain top experience, a healthy baby, and quick recovery at home. If I had been at a hospital, doctors or nurses would most likely have wanted to speed up the process, but no medical intervention comes without its accompanying risks. Throughout 2016, now living in the US, I began the certification process to become a doula, a person who supports a mother in labor. After ten months of regular study of birth and how to comfort mothers throughout the process, it seemed only fitting that year’s end culminated with our gentlest birth yet—our first US born child, our first water birth, and our first unassisted. Everything was going so well we didn’t call the midwife in time, and baby #3 was born in the middle of the night with just us two as witness—in our bathtub, by the light of scented candles, with a Christian birth affirmation CD softly playing on my computer in the adjoining room. 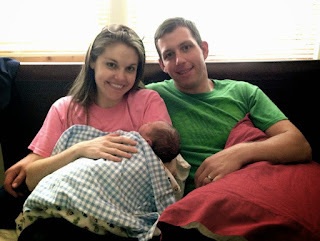 Although none of the carefully chosen birth team was present, the scene turned out to be the exact vision of what I have always desired but never would have planned—just me and my husband alone, welcoming a tiny new life into our world, with the rest of our children (including three adopted sons) asleep throughout the house. Baby was so peaceful and calm, it was as if she didn’t realize she had been born yet. Cradling her skin-to-skin, I marveled at her beauty, soaking in the warm water while waiting for the birth team to catch up. Moments like these are essential for bonding, and my husband and I connected the quickest yet to this child. I contribute that partly to the dramatic and yet intimate way in which she arrived. Out-of-hospital births are making a come-back as more and more women are seeking a more personalized, gentle, and natural experience for bringing their babies into the world. This pathway is not for everyone, but for myself and the ones I know who have chosen this way, we are truly grateful for the privilege and joy it has been in our lives! Thank you for a well informed, and perfectly scripted post on the topic of home/birth-centre/hospital births. It is seldom one comes across a level-headed article on this subject, what with all the very strong personal opinions on this hot topic! WELL DONE! My husband and I have two daughters, both of which were born at home. Our families were quite divided on our choice. To say the least, it was very unpleasant. Nevertheless, we committed our ways to the Lord, and trusted that He (who is the Father of all) would guide us in this matter. He is the Author of life, after-all! In the end my husband and I agreed that we do not have defend our decision to have our babies at home. We made the decision to have home-births with great care, and we are responsible to God alone in this matter. Thanks for sharing this Katrina! 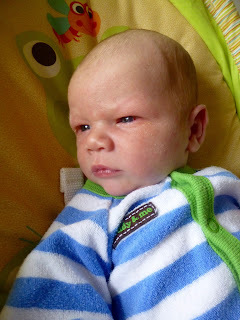 I'm expecting my first baby any day now and though home-birth is popular in nz, I still have had a few raised eyebrows.